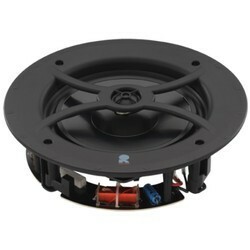 Full-range loudspeaker with a single 2.25" (57 mm) full-range driver in a ported enclosure designed for surface mounting in background music and paging applications. The RCF loudspeaker line incorporates a vast range of transducers & components covering the entire audio spectrum. For decades these transducers have represented the ultimate performance, the highest power handling & the most advanced technology. Keeping the diverse requirements of customers in mind, we are instrumental in providing Heavy Duty Loudspeaker. This 45 watts megaphone can effectively cater to a crowd of 1000 pax in an outdoor environment. Built with interal UHF wireless microphone system and voice recorder, this lightweight equipment is the one thing you can never miss for major crowd control situation. Being pioneers of the industry, we are involved in offering a quality range of Public Address Speakers. 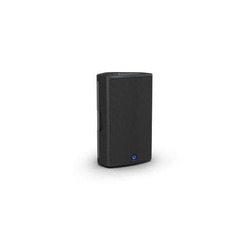 The Public Address Speakers are available in various sizes and specifications. Offered products are safe to use and durable. Besides, one can get these products in committed time frame. We audiophiles can be a contrary bunch, at times. We sometimes set our sights on buying a less-good flagship instead of a product like the S5, simply because it’s not the top of the range.We want the best, and if that is financially unattainable, the next one down the range is sometimes viewed as a compromise too far. The LBC 3095/15 is a pendant sphere designed to be suspended from the ceiling via its connecting cable. The pleasing shape and neutral color make the pendant sphere models interesting architectural features in their own right. Acapella Audio Arts is a German company that has been in business for over 20 years. Each loudspeaker is custom-crafted by just a few artisans. Acapella Audio Arts invented the spherical horn, and offers a number of different handcrafted, horn-based and conventional dynamic loudspeaker products and accessories.